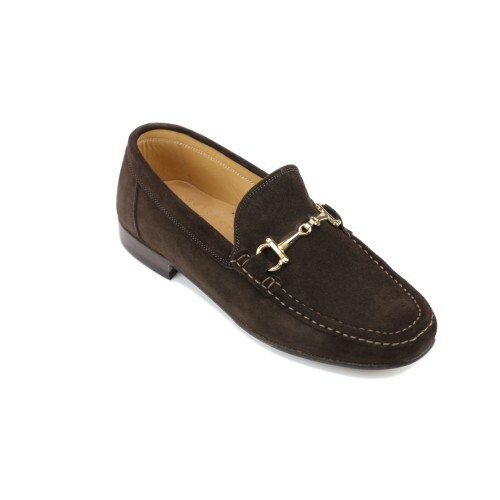 Luxurious soft suede calf uppers, which have been factory treated to repel water (and liquids) and a full-length padded in-sole for extreme comfort. This shoe is an ideal dress-up or dress-down summer shoe by Shipton & Heneage. The leather sole is blake-stitched and closed channel. This means that the shoe is instantly comfortable the moment the shoe is put on and doesn't need wearing in although, as with all shoes, It will give a little after wearing for a while. Made in Italy, from the finest European tanned hides, you won't be disappointed. While light-weight, don't be fooled - they are also hard-wearing and will give you long service. Chocolate suede. A perfect holiday/loafing shoe. We defy you find a comfier shoe!